The Shiraka Training on Local Governance is back! The programme consists of a one-week training in The Hague (29 April to 3 May), online coaching, and a one-week training in Tunisia scheduled for October 2019. Registration will open in late January 2019 at the following website: English or Francais. Twenty-five professionals will be selected to participate in the 2019 course. A strong motivation letter is important to qualify. Participation in the Local Governance training programme is open to government professionals from the following countries: Algeria, Bahrain, Egypt, Iran, Iraq, Jordan, Kuwait, Lebanon, Libya, Mauritania, Morocco, Oman, Palestinian Territories, Qatar, Saudi Arabia, Sudan, Tunisia, United Arab Emirates, Yemen. 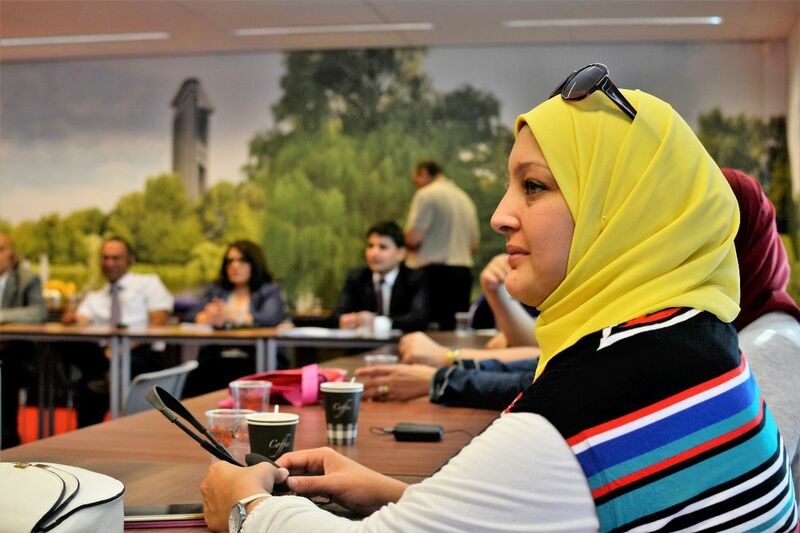 The Hague Academy provides training activities for the Shiraka Programme in three core areas: Social Affairs and Employment, Local Governance and Water Management. This Shiraka training is organised in cooperation with our partner, CILG VNG International and will be delivered simultaneously in English and Arabic. This training on Local Governance is part of the Shiraka Programme developed by the Ministry of Foreign Affairs. The programme seeks to support sustainable democratic transition in the Middle East and North Africa by training senior public officials on matters relevant to the region. It does this by creating networks between professionals and improving bilateral relations between Dutch line ministries and their respective colleagues from the MENA-region.